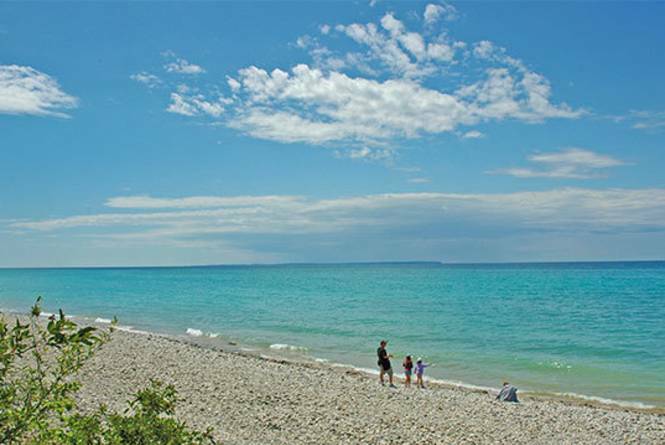 In Leelanau County on Lake Michigan, this beach is located in the southern part of the Sleeping Bear Dunes National Park near the intersection of M-22 and Deadstream Road. 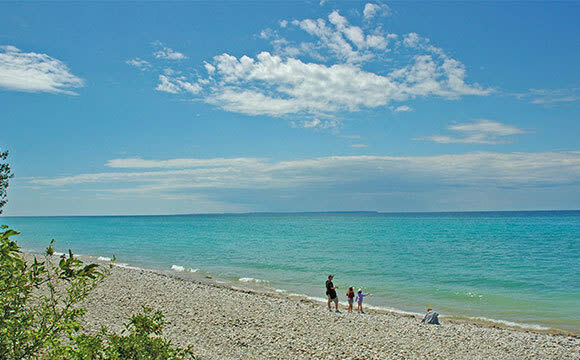 Peterson Park's rock-strewn beach is an excellent spot for finding Petoskey stones. The southern end of the beach is sandy. The parking lot is atop a high bluff with picnic areas, toilets, and grand views of the shoreline to the south. A stairway leads down to the beach. Leashed pets are allowed from Peterson Road on the south end of the beach, they are not permitted on the north end of the beach. A Park Pass is required.